Before we begin, I want you to imagine something for me. Imagine that Robot Chicken was 3D instead of stop motion; and that instead of pop culture icons in bizarre situations, the show featured characters from anime so old that your parents had to explain to their parents why they were cool. Once you’ve wrapped your head around all that, you more or less have the premise of Peeping Life TV. Further attempts at describing it at a surface level wouldn’t get us far, so let’s dive right in! Peeping Life TV is a sketch comedy show, and as such has no consistent story outside of continuations of sketches. 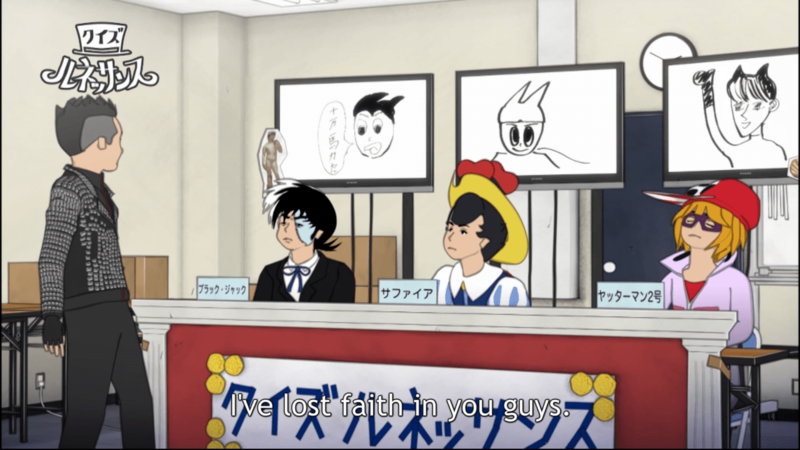 With that said, this anime depends on the juxtaposition of fantastical characters in mundane situations; such as Black Jack having to go to a doctor because he can’t self-diagnose, or Astro Boy asking Dr. Elefun to make him less powerful and better dressed so that he can attract girls. However, like any popular sketch show; Peeping Life TV has a couple of recurring sketches to keep a baseline for itself. Let’s run through them real quick. 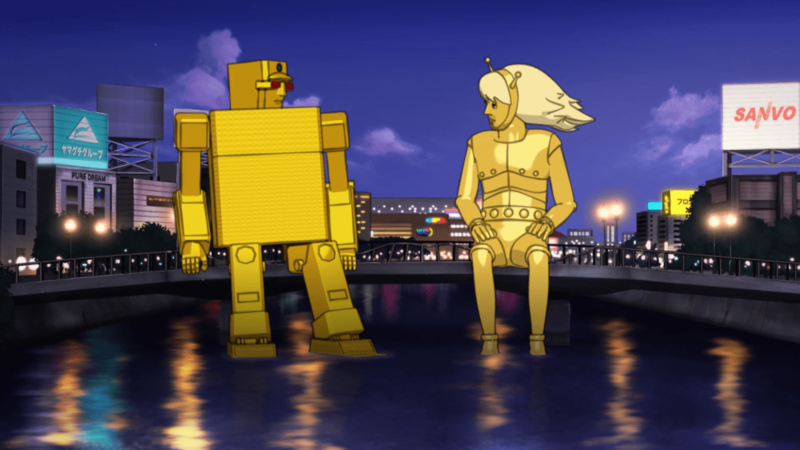 Boyacky, a villain from 1970’s mecha anime Yatterman, hosts a talk show in which he interviews another character. Usually Boyacky derails his guest and interrupts them at every turn, trying to steer the interview in a direction he wants it to go rather than allowing it to take a natural course. These segments typically last longer than other skits and are more lacking in in-your-face comedy; but if nothing else, Boyacky’s Room is a decent satire of daytime TV, even is nobody asked for any. 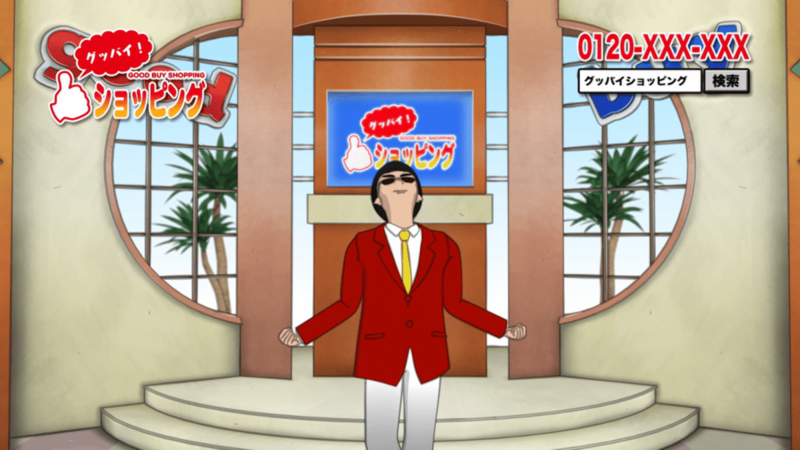 Good Buy Shopping is a parody of shopping channel infomercials, wherein Go Sorinouchi (original Peeping Life TV character) attempts to sell overpriced junk on TV. Each segment features a new product and a new co-star that ruins the show. For example: when attempting to sell a handheld torch called “Mr. Silver Burning”, guest Gold Lightan becomes skeptical and jealous, being a lighter himself. This one is a little nebulous as to its status as a recurring sketch. Though it does pop up three times; they’re all back-to-back in a single episode. Regardless, Quiz Renaissance features show host Megwin (PLTV original character) giving guests Black Jack, Prince Sapphire from Princess Knight, and Yatterman 2 prompts to draw for judgement. The concept is fairly simple: everyone’s drawing is terrible and the host rips into them for it. Peeping Life TV is an absurdly niche anime and there’s no way around it. The characters are esoteric and near-ancient, the sketches are slow and dry, and at times it feels like you’ve been watching a single episode for hours. 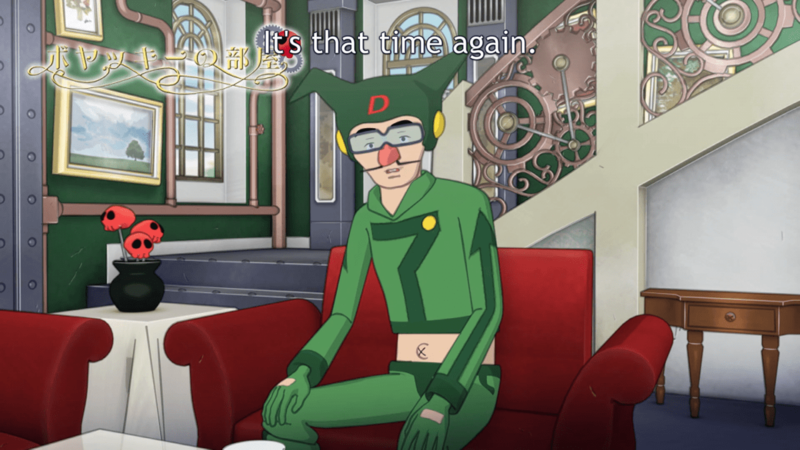 However, it’s interesting to see a sizable roster of classic characters from the Tatsunoko and Tezuka libraries to not only appear again, but appear to do next to nothing (even if not many of us know much about them). There is little characterization due to the characters being portrayed more like normal people, and to that end characters will usually be a bit one-dimensional; usually it shows up as a simple trait, like that Astro Boy being girl crazy, or Triton of the Sea’s being an absent-minded child. It’s all well and good for a skit, but it can also potentially turn off any actual fans of the characters. As for the quality, it’s decent overall. The 3D models are in a strange style, but it gives the same feel that Robot Chicken does where the people are obviously human but still strangely uncanny; plus the lines were recorded before the actual animations, which makes everything feel much more natural. As for the Music, the OP is strangely energizing and the ED fairly calming; they’re good, but not necessarily anything to write home about. Just a couple mechs hangin’ out and palling around. No big. At the end of the day, Peeping Life TV simply isn’t amazing. Though every sketch ends with good timing and a chuckle (or slightly more forceful exhale), most punchlines take too long to get to and wear themselves thin. At times, I thought that the show was kind of like an exercise routine: get pumped with a good song, use that energy to survive the slow grind, reap small rewards for time spent. If dry humor and sketch comedy is your thing, I’d say that this series is worth a peep; if nothing else, episode 7 (the one with Quiz Renaissance) is worth it if the concept piques your interest. However, if dry comedy isn’t for you, neither is this anime.